HOT !!!! 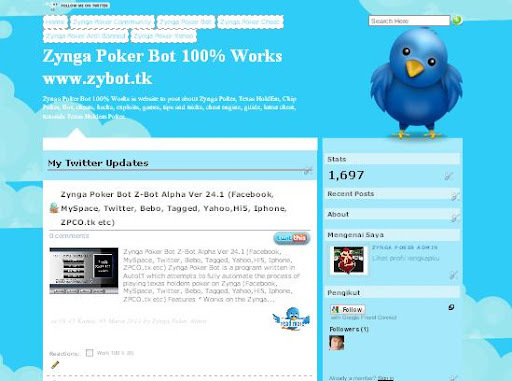 Hacker exploits Zynga Poker Stolen 400 Billion WOW!!!! Home » ZyngaPoker » HOT !!!! 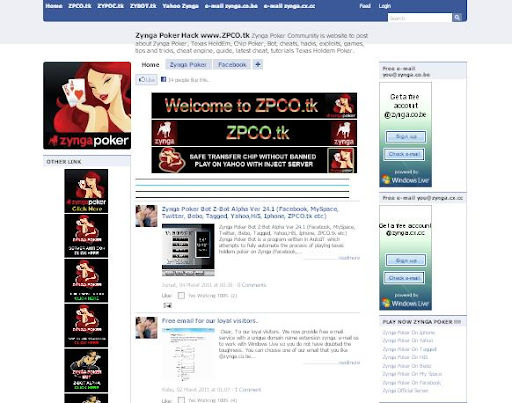 Hacker exploits Zynga Poker Stolen 400 Billion WOW!!!! Stealing virtual poker chips isn't as harmless as it might sound. Virtual poker chips might not sound all that important, but when you steal millions of dollars in chips and attempt to sell them, you're going to get in serious trouble. That's the lesson being learned by Ashley Mitchell, a 29-year-old man from England. A local news website reports that he was accused of selling virtual poker chips stolen from Zynga. Five charges face Evans, four of which (converting criminal property between June 30, 2009 and September 7, 2009) he has pled guilty to. 400 billion chips worth about $12 million in total were stolen. Prosecutor Gareth Evans said, "The defendant sold around one third of the 400 billion poker chips and looking at the auction history where one can purchase such items he was selling them for around 430 GBP [$696 USD] per billion. By my reckoning the total value if sold on the black market of the 400 billion was in the region of 184,000 GBP [$297,840]." Mitchell could be looking at serious jail time, according to the judge presiding over the case. His offense is in violation of a suspended sentence from 2008 that was given for an unrelated crime. He hacked his former workplace's website, leading to him earning roughly $5,662. Given that the chips are a virtual item, Zynga obviously wasn't harmed in the same way that a more traditionally-robbed business would be. However, Evans claims that Zynga could lose money if legitimate gamers decide to stop playing as a result of the theft. The judge noted that the Zynga theft employed "considerable professional expertise," which doesn't bode well for Mitchell's case. The defense is pushing the fact that Mitchell's actions took place during a time where he was "wrestling with a gambling addition." He had spent 3,000 GBP [$4,856] while gambling. Mitchell has been remanded for the time being. Hacker Ashley Mitchell, 29, admitted to a British court that he gained access to administrative accounts at Zynga, allowing him to fiddle with enough virtual money to earn him £53,000 (about $85,000) before being discovered and arrested. Playing administrator for the social gaming giant’s Texas Hold’em poker game between June and September 2009, Mitchell moved 400 billion virtual poker chips--worth somewhere between £184,000 (about $296,000) and $12 million. Before he could cash in on all of it by selling the chips for cash, however, Zynga security noticed the unusual activity and busted him. Judge Philip Wassall says Mitchell could face jail time for the hack, highlighting how seriously governments could take virtual goods in the future, as social gaming companies increasingly establish themselves as businesses here to stay. The news revives debate over how exactly to categorize a virtual good? Is it like any piece of purchasable property? Does someone who spends money on a virtual good actually own that property? Last month, mobile gaming company ngmoco faced criticisms for canceling a few of its less popular games because users had actually spent some money on in-game virtual goods. When the games were canceled, users received no refund. Company founder Neil Young told me in an interview that he believes the virtual purchases amount to no more than “components of the entertainment experience,” and therefore, can’t be equated with physical items you buy. And yet, in this case, the court clearly seems to be leaning toward the argument that virtual items can indeed be treated like real property. This is something worth watching as social gaming continues to grow in 2011. 29-year-old IT businessman Ashley Mitchell plead guilty to stealing $12 million worth of Zynga Poker chips in a British court yesterday, and is now facing a substantial jail term. 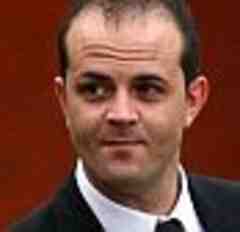 Mitchell appeared at Exeter Crown Court in Devon, England and admitted to accessing the developer's servers some time between June 30, 2009 and September 7, 2009, stealing 400 billion virtual chips for Zynga Poker, then selling a portion of them for £53,000 ($86,000). "The defendant sold around one third of the 400 billion poker chips, and looking at the auction history where one can purchase such items, he was selling them for around £430 ($695) per billion," said prosecutor Gareth Evans, according to a report from local newspaper Herald Express. Sold legitimately through Zynga, the full amount of chips would have brought in some $12 million. The prosecutor estimated that if Mitchell sold all of the virtual chips on the black market, he would have made a fraction of that, around £184,000 ($297,000). Evans admitted that valuing virtual currency can be difficult and that the company was not actually deprived of tangible goods, but he said that the theft could still affect the developer by indirectly causing legitimate online gamers to stop playing Zynga Poker or its other games. Mitchell plead guilty to four charges of converting criminal property and a fifth charge for violating the Computer Misuse Act ("unauthorized access with intent to commit or facilitate commission of further offenses"). He was previously convicted in 2008 for hacking into his former employer's website and changing his personal information to receive £3,498 ($5,600). Mitchell was given a 40-week suspended sentence by the court then -- which he is in breach of with these Zynga charges. The hacker was remanded in custody and now faces a substantial jail term for the latest offenses. 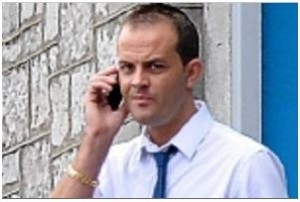 Defense solicitor Ben Derby argued that Mitchell committed the crimes during a time when he was "wrestling with a gambling addiction", having spent £3,000 ($4,800) on online games .